Bought Affinity Photo last year, but took a long break from it because of the lack of a stabilizer at the time. 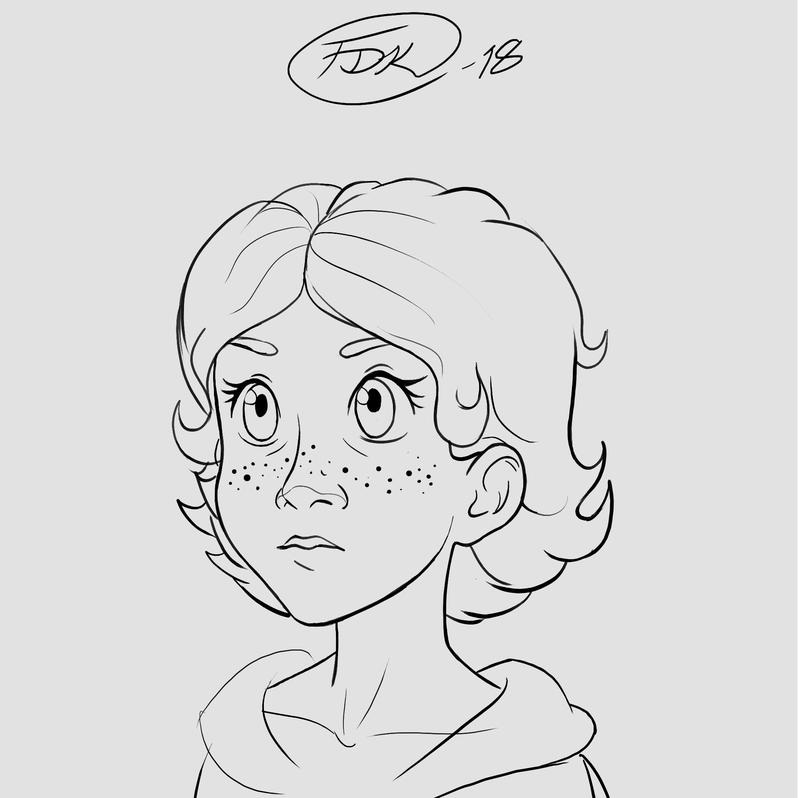 Decided to go back to the program yesterday just to see if I could replicate my workflow from Photoshop, which I got decent results from. Still need to figure out some kinks in the system before I feel like my work in Affinity Photo is up to par with my Photoshop work. Might finish these two if I feel like it. Kept experimenting some more with AP today, using more layers as well as colouring. Still have some work to do on this painting until it is complete, but I am fairly content showing the current results. Tried out Affinity Photo 1.7 a bit just to have some fun and experiment with the program, using a bunch of blurs, live filters, and more. Was a fun speed painting to work on. How is alt key color picking working for you? Or do you color in some other way ? I didn't use any colour picking in this case. The coloured painting above was done using adjustment layers, primarily selective colour, to create the skin tone (the painting is completely in grey scale). 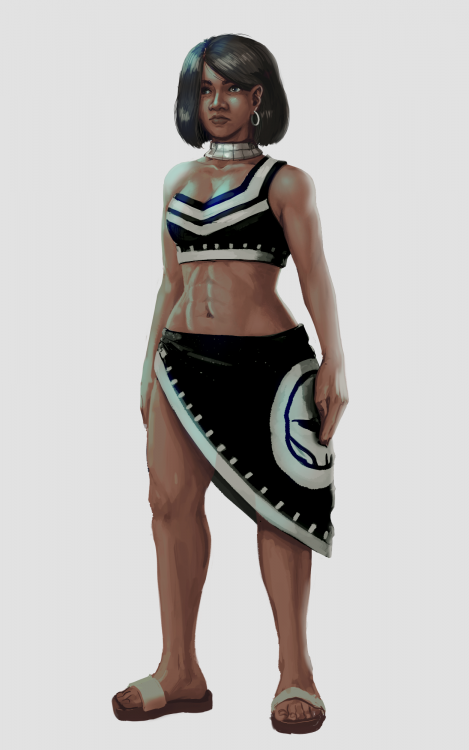 I separated the skin of the character from the rest (clothes, hair, etc) by using separate layers, and then masked the adjustment layers applying them to the skin layer. The big advantage of this method is that you have a lot of control over every single colour on the image, but at the cost of variance in the colour scheme. It works well for getting 80-90% of the colouring done for a lot of objects, but it can get a bit taxing on your computer. Also, if you want to breathe even more life into the painting you still need to start mixing your own colours a bit to push the results even further. I have more than one way of colouring my paintings, however. I do paint using actual colours as well as use the colour picker, but selective colour I use a lot in my workflow regardless to fine adjust my colours as I move along. Most of my workflow I've been able to translate over to Affinity Photo, although with hiccups here and there (I especially need to have things like merge selected, create fill layer, rasterize & trim, and rasterize to mask added to the L click menu when using the layers tab). I haven't really had a lot of trouble using the colour picker, as far as I am aware. I use it to pick up colours I need on the fly, and don't really do anything more advanced than sometimes switching the source to current layer when I have a bunch of other layers sitting ontop of the one I am working on. I observed the brush of Affinity Photo, the brush transparency overlay seems to lack some kind of fusion, the gradient is more difficult continuous. Wait a moment, I will use pictures to let you understand what I mean, now I am busy with work. I promise you will regret understanding what I mean. 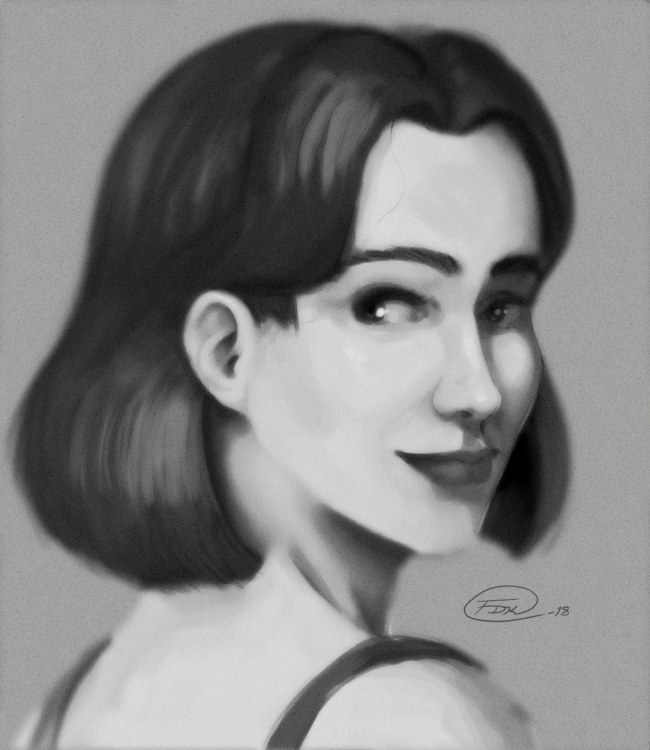 Free digital painting program from Krita. 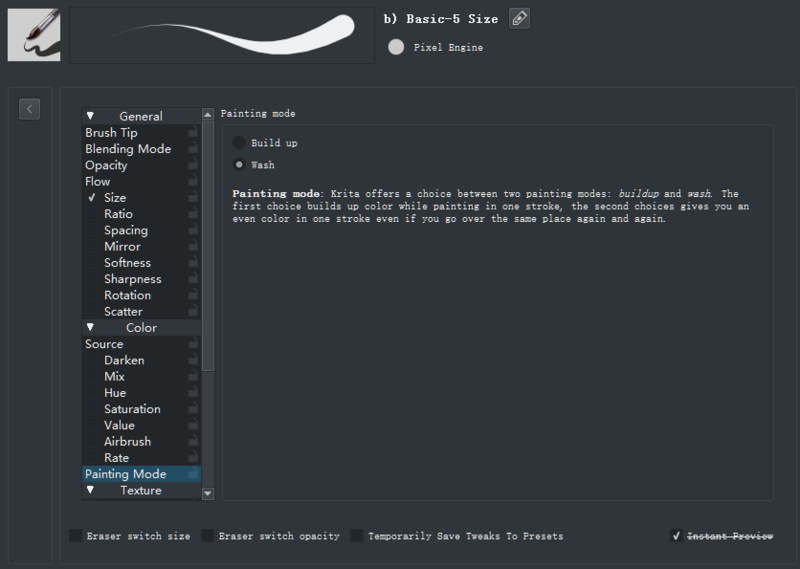 Paintins mode: Krita offers a choice between two painting modes: buildup and wash. The first choice builds up color while painting in one stroke, the second choices gives you an even color in one stroke even if you go over the same place again and again. Affinity Photo behavior is buildup. Regarding this difference, the brush on the soft edge has a very big difference. In short, the wash is a higher degree of detail, and the buildup is poor. This is almost devastating for high quality painting, which completely destroys the feasibility of Affinity Photo for high quality painting. If you still don't understand, I demonstrate this obvious difference by the effect of the actual brush. Don't know if Adobe changed anything regarding brushes as of late, but over the last 10+ years I have been using Photoshop, it has always had build-up brush strokes as described by people online. I just tried both Photoshop and Affinity Photo and they behaved practically identically in regards to brush stroke. Don't really see any issue since I have been painting with this type of build-up from the very start. Would sure be nice to have a specific setting for it in AP, though. Don't know if Adobe changed anything regard brushes as of late, but over the last 10+ years I have been using Photoshop, it has always had build-up brush strokes as described by people online. I just tried both Photoshop and Affinity Photo and they behaved practically identically in regards to brush stroke. Don't really see any issue since I have been painting with this type of build-up from the very start. Would sure be nice to have a specific setting for it in AP, though. I watched these two videos, which is not related to what I am going to say. Conclusion: The edge of Ap is very bad, whether it is on the periphery or the fusion between the internal brushes. 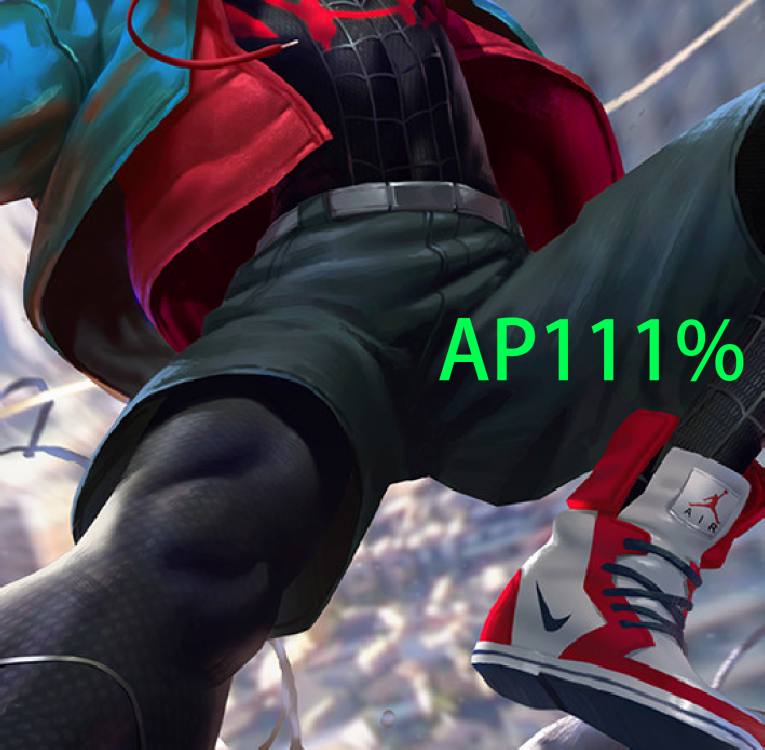 The problem broke the digital painting in Ap. Ap with at least 2 questions, 1 very bad rotation and rotation quality. 2 The zoom quality is very bad. Before solving these problems, Ap is by no means a good choice for digital painting. now is not the prime time of Affinity Photo. 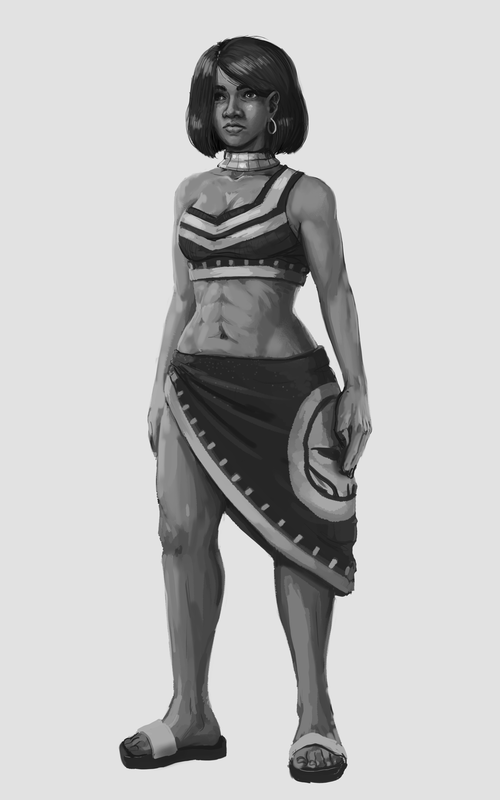 While I agree that there are issues with the program, I disagree that it isn't possible to create satisfactory workflow to make painting work. I have been experimenting with the tools for creating brushes in 1.7 today, and I was able to create solid soft round brushes that come fairly close to how they work in Photoshop along with the pressure sensitivity that will help mixing the colours. Made a fairly quick speed paint using almost primarily one single soft brush I made from scratch (required a bit of work to fix the edge problem you had in your image). Didn't really feel like had any problems mixing my colours, and they were able to flow between each other fairly naturally I think. 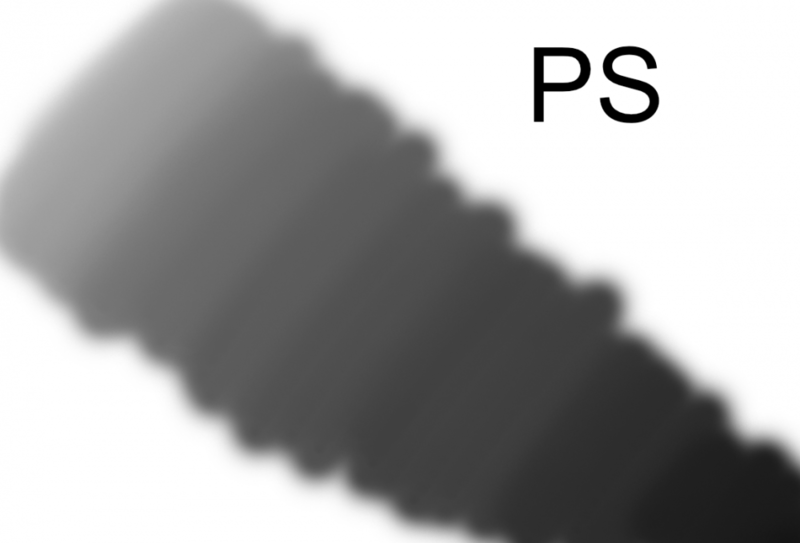 If you want, I can post my brushes for you here in this thread, and see if they are satisfactory to you (some of the brushes only work in 1.7 because of the new Sub Brushes feature, however). A bunch of us, in digital painting since a while, do use a glazing technique, which at the same time is a build up one. Is extremely common to paint so, and indeed, it is very very very close to how any of us used to paint with oils and acryilics (indeed, despite the crazy tons of digital painting I've done, I consolidated all my technique while being a traditional painter (it was impossible anything like that with the computers, back then). The glazing is that you need to be picking the intermediate shadows that are generated as you paint, picking colors between daubs...This can be as fast as every few seconds, or faster. The build up, that actually works well in AP ( you have flow and opacity), I'd be able to work with it and basic brushes (I paint with basic brushes everywhere and get my wanted final look in a painting, but lately I'm loving Daubs (Paolo's) brushes A LOT.... I wouldn't need it, but it definitely allows to go for a very traditional touch, which I remember perfectly , tho is from so many years ago. (a lot of it is pure nostalgic, tho). The problem is... the color picking with alt is crucial to me, and my techniques... So, I'm still painting with CSP for the time being. Will see what I'll do in the future. AP serves me well for anything else. I have always had the notion that build-up refer to be able to paint over a stroke, and over again, in different directions, "modeling" at the same time with the strokes, while picking intermediate tones, so that it increases in intensity. IMO is all the opposite: Build up allows for a closer to real painting style. In Photoshop is totally possible, is just the right combination of FLOW value, opacity, and good config of your Wacom. Actually, the name of the app, and a bunch of other things, the actual app features, are telling you that this program is very focused in "photo", in photography. And in that category is probably where they are wishing it to be in prime time. I have read it from the developers. Affinity is NOT a digital painting software. It is not. We wish it were BESIDES all what it already does, but indeed, is not. To be totally accurate, PS is neither. yes , we have used it for that, at every company one could think of, but all that time, Corel Painter was miles better than PS in emulating painting. Today, none of these two can be described as such, when you have something like Art Rage, C. Painter or Rebelle. The funny thing is those can't do a ton of things that PS and Photo can do, which are ESSENTIAL for REAL professional illustration, where a project for a client involves a lot more complex workflows than just faking the best brush feel. PD: About zoom quality: I'd check well several settings available in AP's preferences. I only have time to respond to this before going to bed. As I said, the technique I used with the adjustment layers was just that, one technique. In the latest image that I painted I was picking from the colour wheel and then on the fly used the colour picker to grab any colour gradient I needed using the alt key while using the brush tool. As I said earlier, I haven't noticed any particular problems using the colour picker tool on the fly using alt when painting, so I am honestly a bit confused by what you mean that the feature isn't functioning for you. Some further explanation of what you mean would be appreciated. Basically glitching.... often not picking the color, actually...u think it took it, and paints with the older color, happens when you go even slightly fast (here, at least)... specially when going fast... my computer is an old i7, but can do this kind of thing in CSP (in this one, with +100 layers and a 10k-20k px canvas, no issue, while appears in a 900px canvas in AP), Sketchbook and any other 2D apps with absolutely no trace of that issue... And I'm a heck of a fat (er...not really) hairy old troll-geek with computers, I have it all as much fine tuned as it could get.... Also, when you use it a lot, very fast, glitches on the magnifier appear often, too. (despite the fact that the magnifier it self, glitches or not, appearing in every pick, is really distracting in a buildup, glazing technique. (a preference setting to disable it is all I'd need...). It needs to be noted that I notice the performance and failed color picks a lot LESS when using the actual key rather than configuring alt in the Wacom Intuos Pro 4 pen. But my brain is literally wired to the side button for picking a color, whatever the painting technique I might use. I use the AP's color wheel a lot as well, detached to keep it near, but way, way less. In any advanced painting piece, you will need totally to pick from the actual painting. I indeed, I often paint some solid daubs in the canvas, as a manner of basic color palette, some times even just the primary colors, as I did with oils (wooden palette). 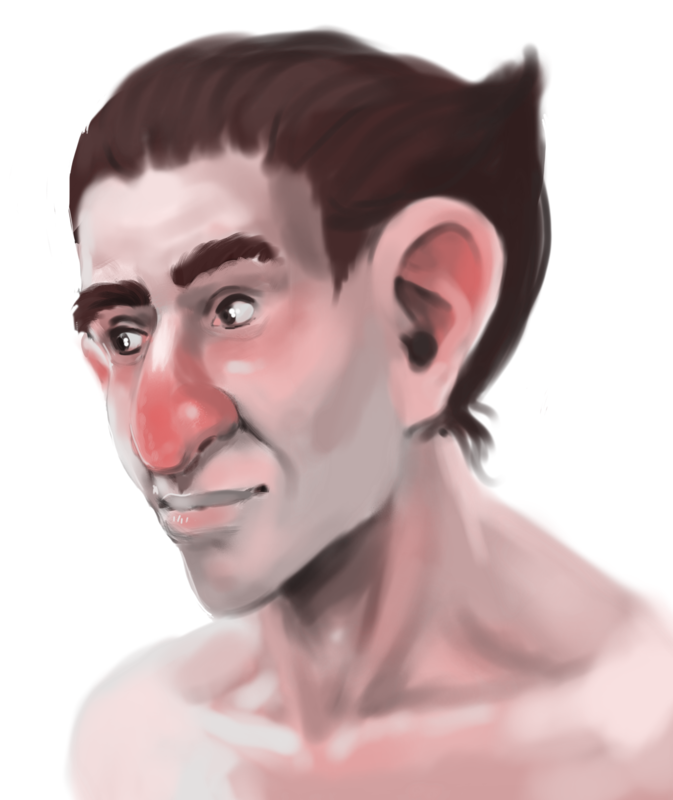 So much I'm based in that for fast digital painting in a very trad painting way. With AP, I always deactivate fully X-Mouse Button Control before even loading AP, so , is not that one. As it happens more with the side pen button than with the physical key, (but still happens) my bet is, not an issue with the wacom driver (works great in that respect (and any other) with any other 2D app), but maybe yep in the interaction of said driver with Affinity. I am very interested in how you fix the soft brush edge problem. If you are willing to share the experience of fixing the problem of soft brush edges, I will be grateful to you. However, it must be a real fix, not a "avoidance"
First of all, you should understand the difference between transparency and flow. There are also mixer brushes, which are different. Therefore, the fix does not allow the use of mixer brushes and flow, because the problem is transparency. Now please share how you solved the edge of the transparency soft brush, I really want it. The glazing is that you need to be picking the intermediate shadows that are generated as you paint, picking colors between daubs...This can be as fast as every few seconds, or faster. The build up, that actually works well in AP ( you have flow and opacity), I'd be able to work with it and basic brushes (I paint with basic brushes everywhere and get my wanted final look in a painting, but lately I'm loving Daubs (Paolo's) brushes A LOT.... I wouldn't need it, but it definitely allows to go for a very traditional touch, which I remember perfectly , tho is from so many years ago. (a lot of it is pure nostalgic, tho). The problem is... the color picking with alt is crucial to me, and my techniques... So, I'm still painting with CSP for the time being. Will see what I'll do in the future. AP serves me well for anything﻿ else. I know that the original design of AP is photography rather than painting. I also know that CP is designed to simulate traditional painting. You should face the problem directly, not evade. Is your painting technique to fix the program? Yes. I like modern painting effects, I have no interest in traditional painting. I don't want AP to be as traditional as CP. You need to urge developers to improve as soon as possible, rather than optimistic that this will improve. I also use Alt to choose a color. I also hope it gets better. Finally, regarding the quality of the zoom, you are wrong. We need optimism in everything in life. And as they have a large list of things to do, this (the one in my signature) is just one of them, and definitely not key for a photo based app...Makes sense that does not have the highest priority. Zoom.... Yep, the thing is it seems looks better in my end, that's why I asked if you had looked at the preferences. Sometimes is an issue with the card driver colliding with certain app, others with the app config/preferences. Oh, also, in brush settings, seeing what you are after... set smoothing at the very maximum, there in the top bar. Make also sure wet edges is not selected. Try working with an Adobe RGB profile instead a sRGB, and of course, not in CMYK. Also, for smooth stuff, gradients, and all... maybe change the mode to 16 bits, tends to help with subtle gradients, and shades of a brush, etc. Is way more memory heavy, but you could try. In many cases, arguing only consumes time, which is very unworthy. I will not continue to explain, I only read. 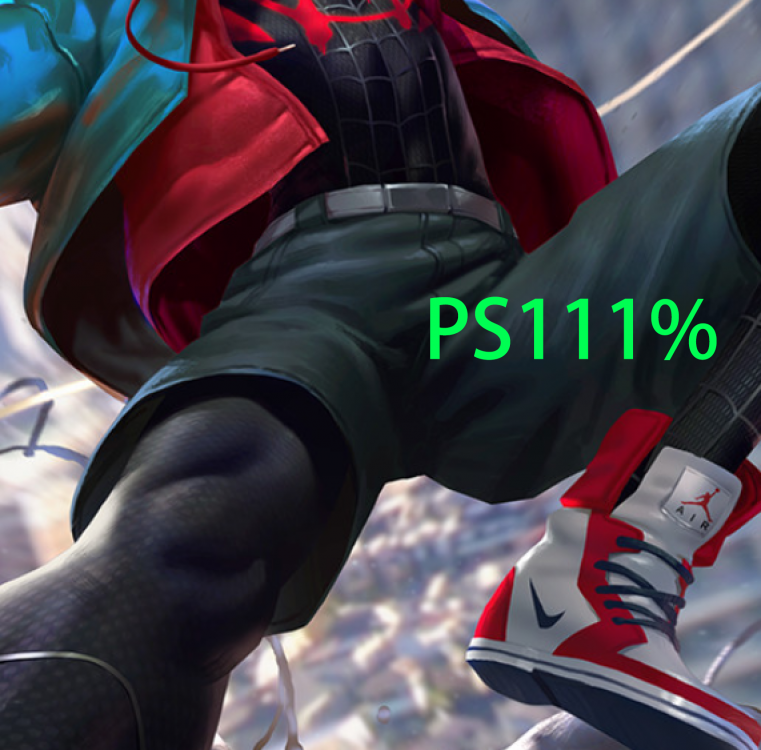 The image uses 111% zoom. 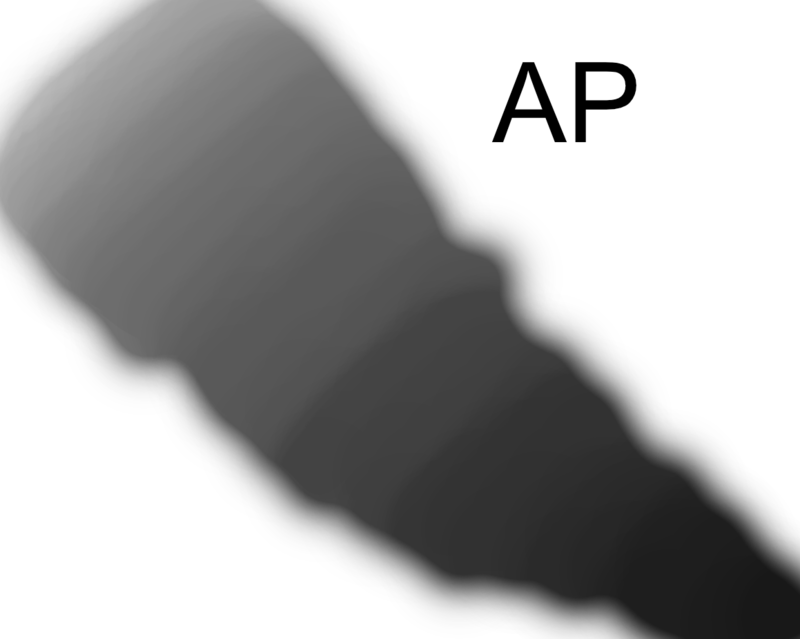 AP is set to bilinear. For clarity to see the problem. 3x adjacent hard edge adjustment. In my opinion, it's all like you are teaching for an idiot. I don't need you to teach me these things, I am an advanced user. Your signature has betrayed you, and you try to defend the AP. You are not objective, you defend it. I see its advantages and disadvantages, instead of fully trashing it, that's all. Ok then. Not trying to teach you anything (was trying to help, lol). I myself pointed out the detail on my signature. I can see good and bad stuff in something, that's actually being objective.